The machine is equipped with a 6 inch toroid taping head. With this head it is possible to tape very small toroidal cores. 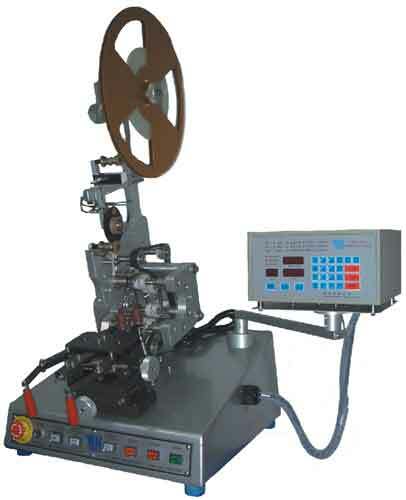 The machine features automatic control over wire load length, running speed, acceleration and de-acceleration, etc, and programs for complex windings are stored in memory for later use. The advanced fibre optic wire detection system includes a teach-in function for accurate and reliable turns count, even with coloured wires.